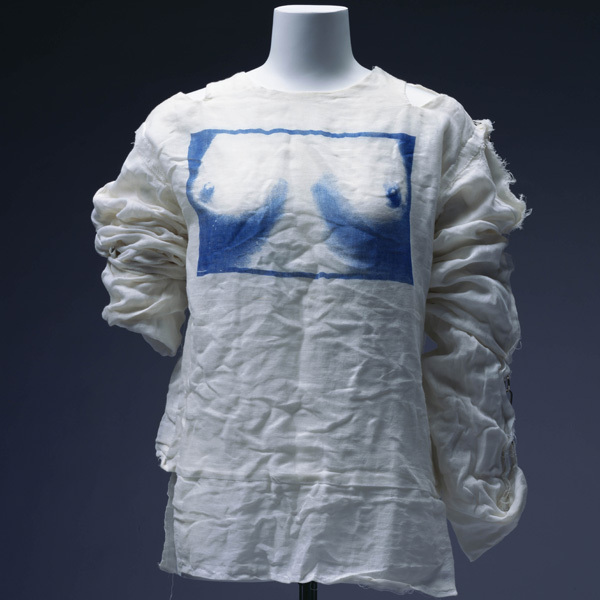 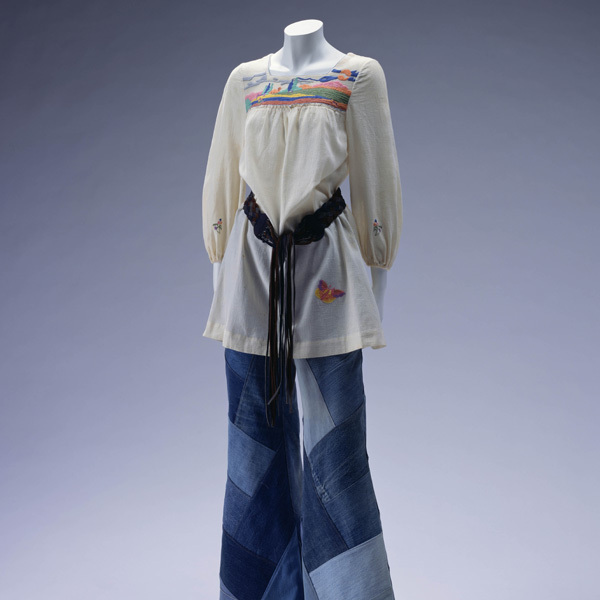 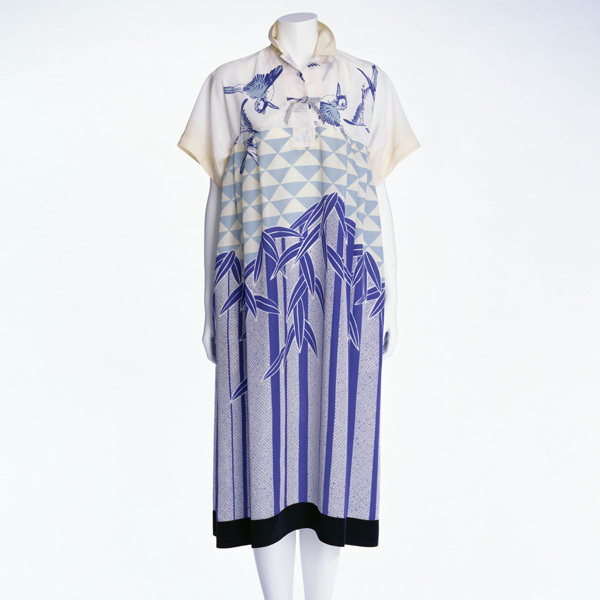 This is the early work of a Sonia Rykiel, who transformed knitting clothes considered for daily wear, into fashionable outfit. 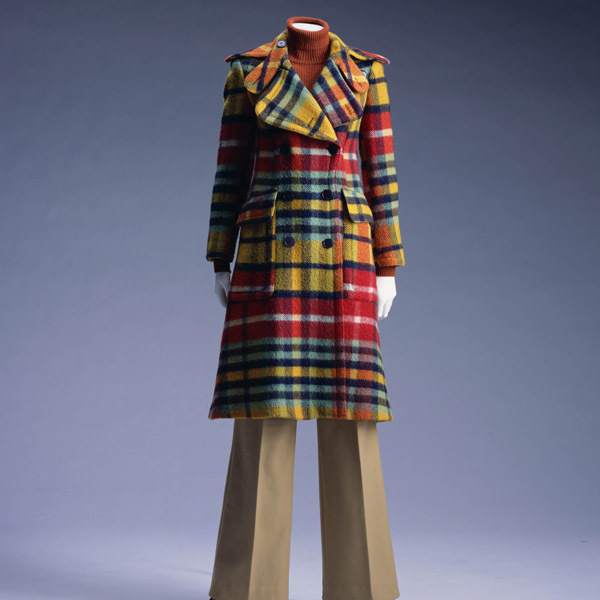 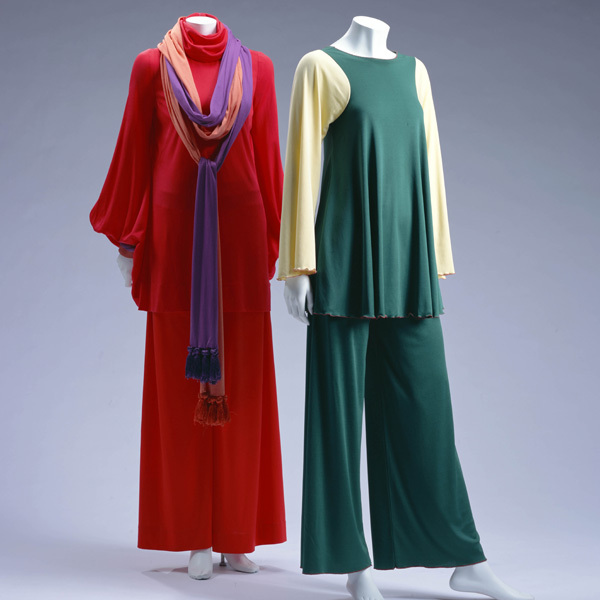 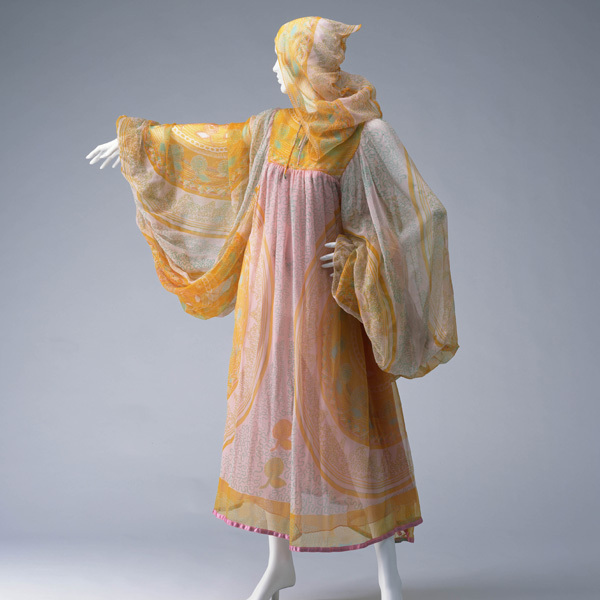 In the 1970s, gained power as fashionable and real couture of the time, prêt-à-porter took the place of Haute Couture that was no longer the source of new trends. 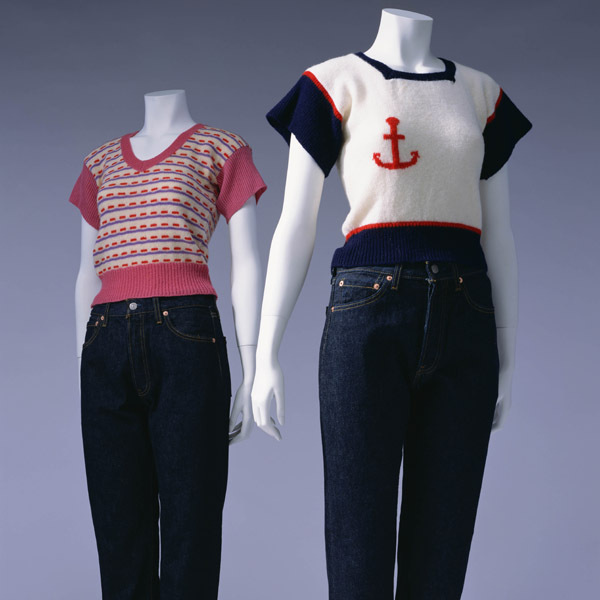 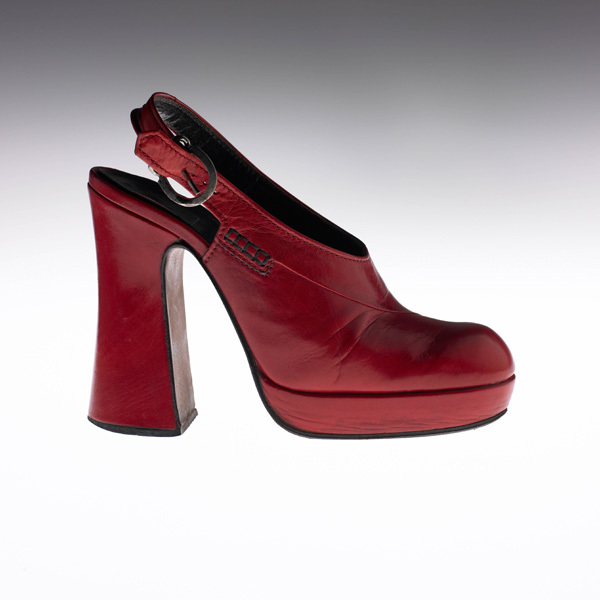 Rykiel started her career in 1962. 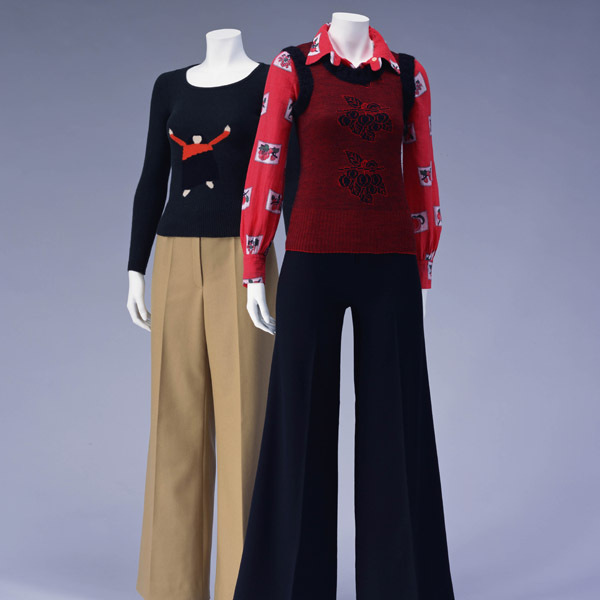 She presented knit outfits emphasizing the slender female body. 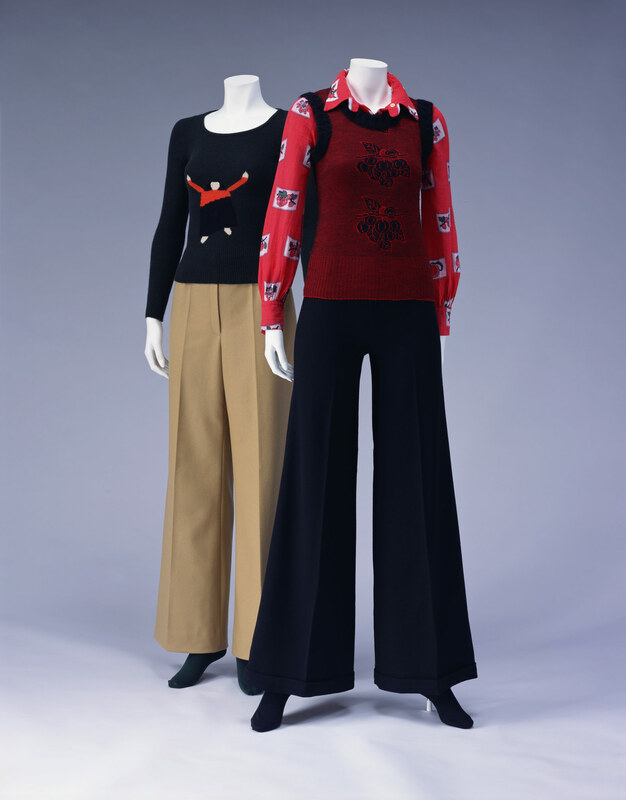 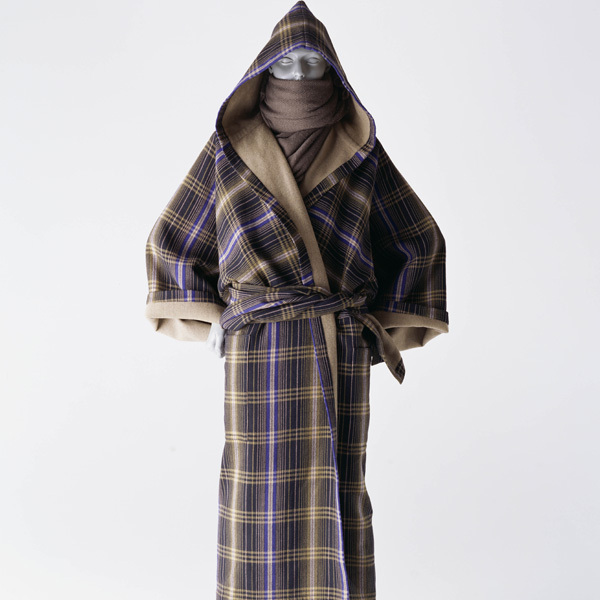 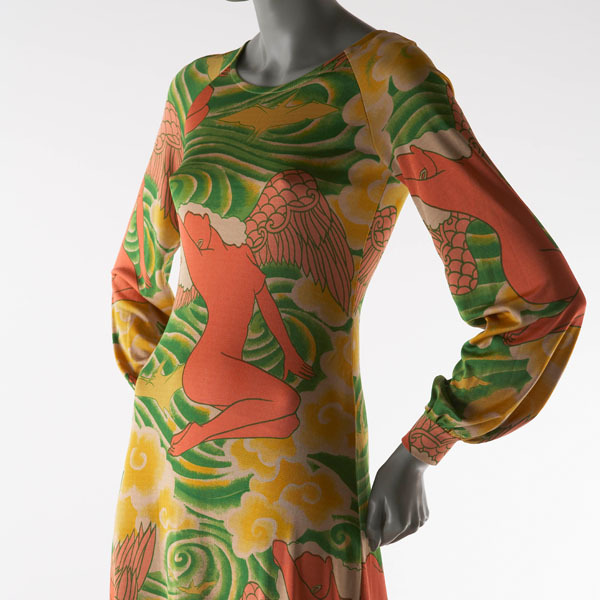 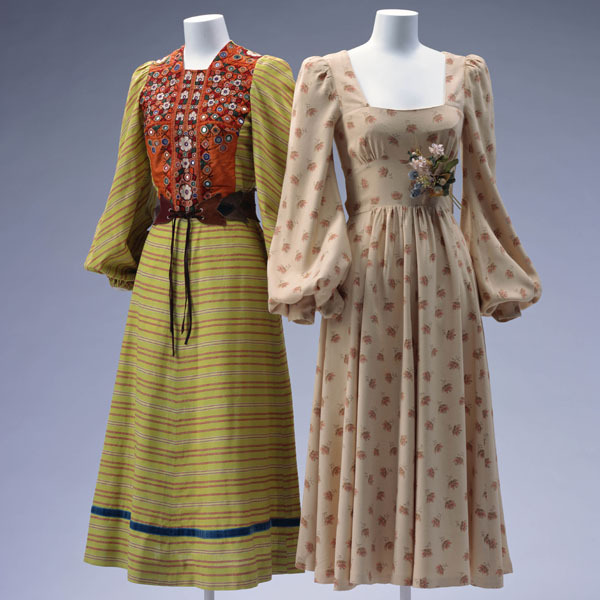 Aside from fashionable knits, Rykiel also proposed clothes that had seams on the outside of the cloth, and clothing without hems, called "sans couture" clothing. 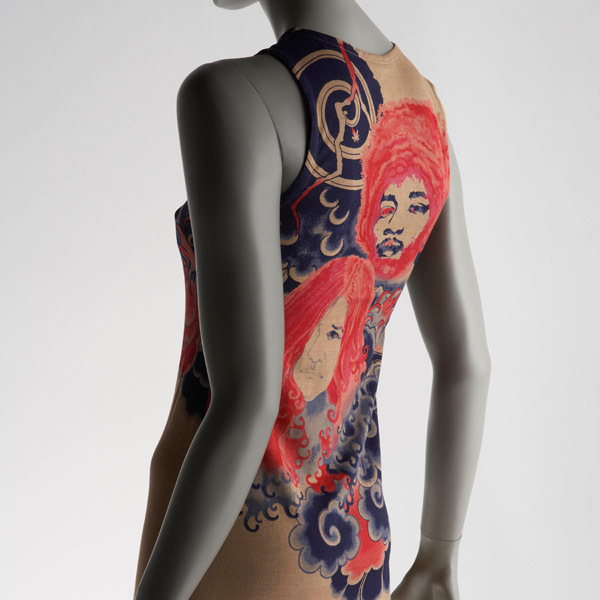 Rykiel led others into a new era unbound by tradition.